Riding through Hotonnes we noticed a great old "penny-farthing" bike on display. 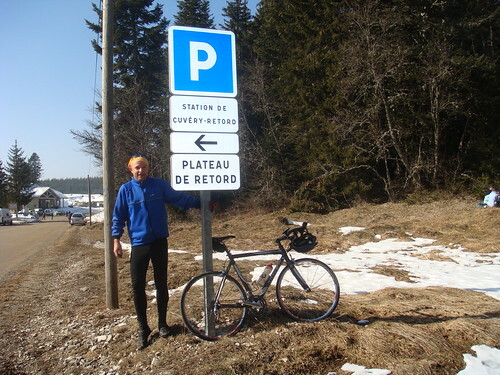 At the top of Col de Cuvery is the Plateau de Retord and a huge cross-country ski area. 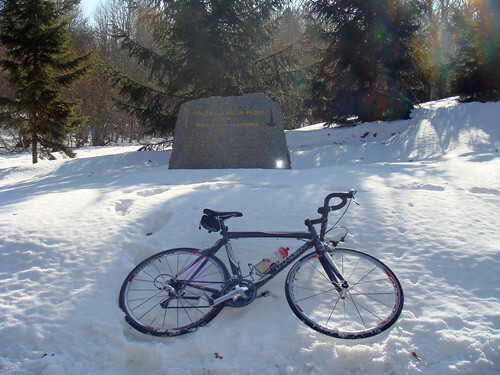 Usually this is a pleasant deserted climb, but lots of people were out for a ski/hike and even some husky sleighing. 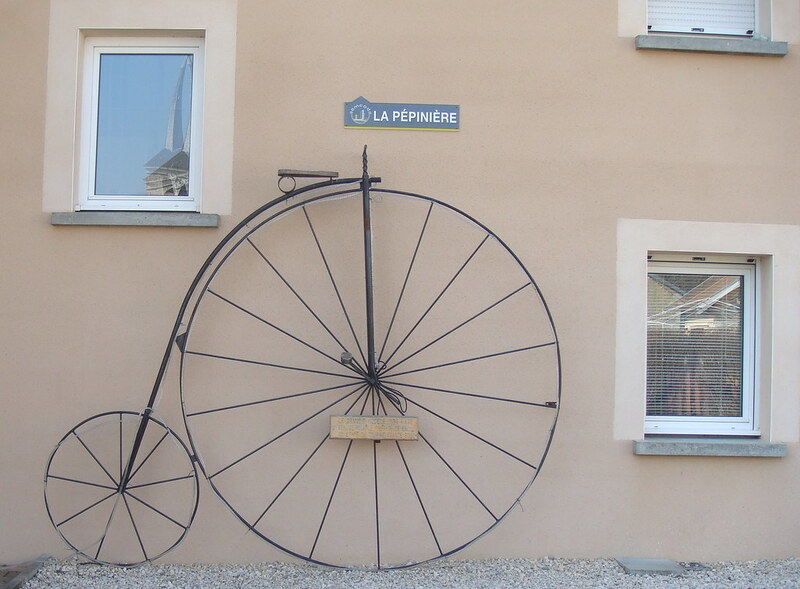 Riding through Hotonnes we noticed a great old “penny-farthing” bike on display. 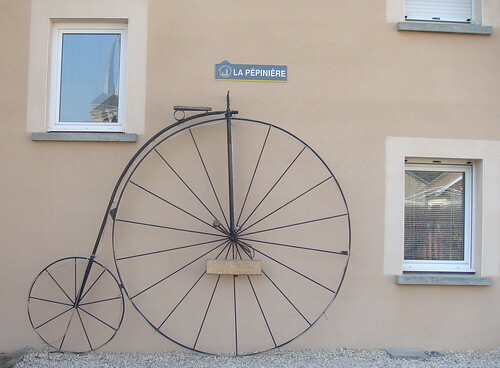 The little sign said that it was a giant model of an 1870 bicycle realized for the passage of stage 19 of the 2002 Tour de France. 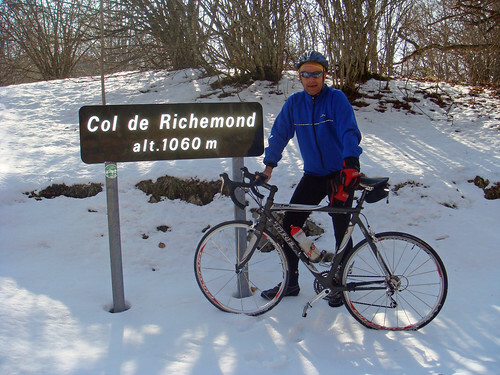 We returned via the very pleasant Col de Richemond. 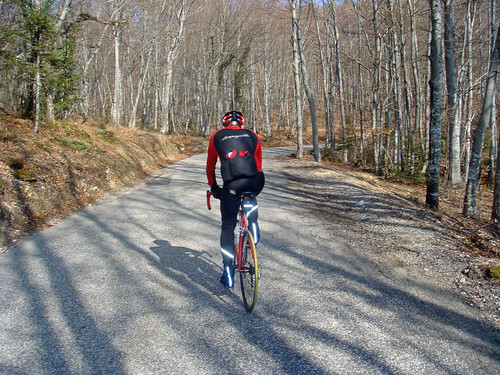 This climb is next to the more famous Jura giants Col de la Biche and Col du Grand Colombier – but both were closed – we’ll have to wait a few months.